Welcome to Cold Creek Ranch, a 10,000 acre working cattle ranch in Arizona's Mogollon Rim Country. 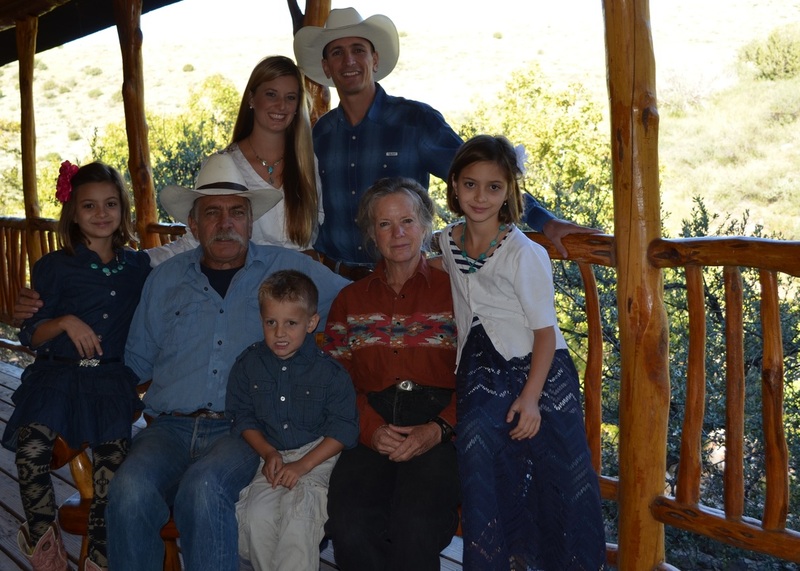 Here, the Schwennesen family, with roots in Arizona since 1921 produces 100% natural grassfed beef. This has not kept us out of the global discussion on land management and the value of productive landscapes. This international sense has welcomed dozens of visitors from around the globe. Cold Creek lies between the headwaters of the Gila and San Francisco Rivers, high above the lower plains and rangelands of Southern Arizona. The face of the Mogollon rim rises sheer over 6,000 feet to the north, supplying the ranch with a perennial flow of rhyolite-filtered, crystal clear water. This rarest of all commodities twists through countless canyons and draws, supporting wildlife and livestock alike. We believe that responsible, small-scale agriculture is a critical, and currently, largely missing key to a responsible economy. Our mission is the production of humane and sustainable beef. We know that managing land well can restore the biodiversity that our landscapes are losing at a frightening rate. We have a biological plan to manage our land holistically, all our decisions are goal driven to ensure that they are environmentally, socially, and economically sound. We are dedicated to improving our watershed. We share our ranch with a variety of wildlife: mule deer, javelina, quail, rabbits and rattlesnakes, to name just a few. Coyotes, bobcats, bears and the occasional mountain lion are an important part of the balance. We feel that this balance is far more important than any economic loss we may incur losing a calf or two to a predator. Therefore, unless an animal is rabid or deviant, we do not control them. The land is where our livelihood originates, but it is far more than that. As stewards of this dramatic landscape, we maintain a tie to the land that far exceeds the transient notions of "place" common in an urban world. We live "off the grid" producing all our own electricity from a medium-sized solar system. There is no television reception and to get a cell phone to work you'll have to go across Black Jack Creek or around the mountain a ways (Jean can show you her favorite "phone booths" with comfortable rocks for desks and juniper trees for shade). Meet your Hosts: Eric and Jean, Keith, Chrissy and kiddos! We would love to hear from you. Please email us at eschwennesen@gmail.com today!